Jane Cornelius Steele has had an eclectic career. The 1974 family environment graduate has worked in international education, physical therapy, health communications, and therapeutic horseback riding. She once drove a truck for Linn County Extension and taught home repair. She’s lived in Bolivia, Honduras, Sri Lanka, and Washington, D.C. She has a prolific backyard garden and raises chickens. Jane lives in Verona, Va., four hours from the ocean, half an hour from Shenandoah National Park and the Blue Ridge Parkway. Mountains surround her home, and a river demarcates the edge of her property line. 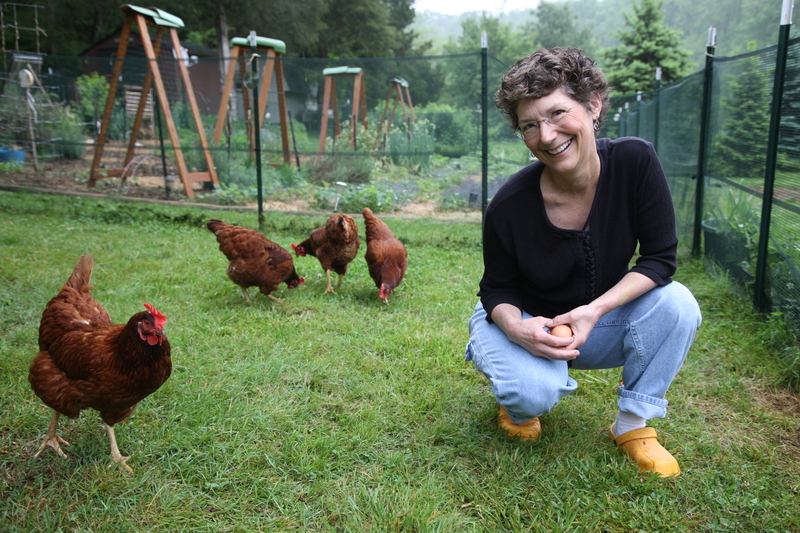 Jane’s one-acre lot has plenty of space to grow snow peas, spinach, arugula, strawberries, tomatoes, eggplant, and potatoes (though, sadly, no corn) and house four laying hens named Ruby, Alberta, Henrietta, and Eggbert. The chickens were Gary’s idea. Jane grew up in Hudson, a small town near Waterloo, Iowa, and after living all over the world her only concern about moving to rural western Virginia was its potential lack of culture. “I was concerned about the culture, but there’s so much going on here I can’t get to it all,” she says. The area, it turns out, is a hub for theatre, music, food, and art – a perfect place for Jane to pursue a career or two and, maybe someday, retire.